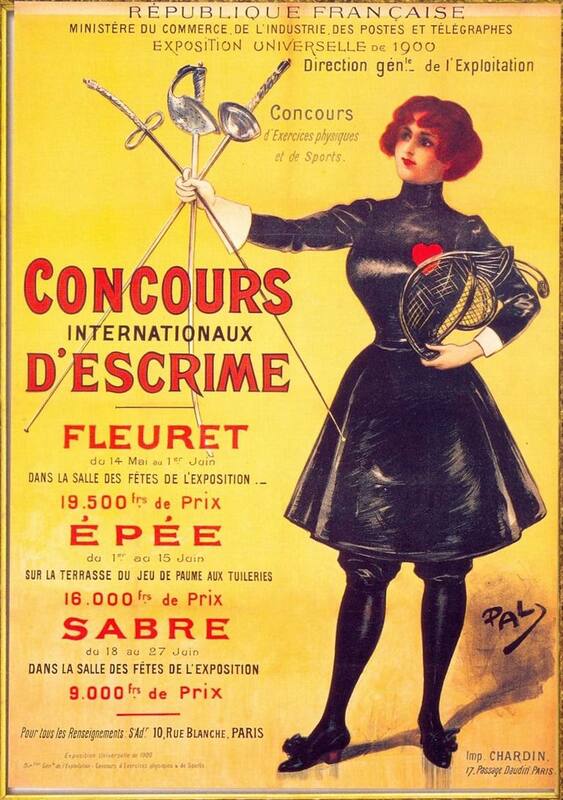 The 1900 Olympic Games (also called the II Olympiad) took place in Paris from May 14 to October 28, 1900. Planned as part of the immense World Exhibition, the 1900 Olympics were under-publicized and completely disorganized. The confusion was so great that after competing, many participants did not realize that they had just participated in the Olympics. It is important to note, however, that it was in the 1900 Olympic Games that women first participated as contestants. Although more athletes attended the 1900 Games than in 1896, the conditions that greeted the contestants were abysmal. Scheduling conflicts were so great that many contestants never made it to their events. Even when they did make it to their events, athletes found their areas barely usable. For instance, the areas for the running events were on grass (rather than on cinder track) and uneven. The discus and hammer throwers often found that there wasn't enough room to throw, so their shots landed in the trees. The hurdles were made out of broken telephone poles. And the swimming events were conducted in the Seine River, which had an extremely strong current. Runners in the marathon suspected the French participants of cheating since the American runners reached the finish line without having the French athletes pass them, only to find the French runners already at the finish line seemingly refreshed. The concept of the new, modern Olympic Games was still new and travel to other countries was long, hard, tiring, and difficult. This plus the fact that there was very little publicity for the 1900 Olympic Games meant that few countries participated and that a majority of the contestants were actually from France. The croquet event, for example, not only had just French players, all the players were from Paris. For these very same reasons, attendance was very low. Apparently, for that very same croquet event, only one, single ticket was sold -- to a man who had traveled from Nice. Unlike later Olympic Games, teams of the 1900s Olympics were often composed of individuals from more than one country. In some cases, men and women could also be on the same team. One such case was 32-year-old Hélène de Pourtalès, who became the first female Olympic champion. She participated in the 1-2 ton sailing event aboard the Lérina, with her husband and nephew. As mentioned above, Hélène de Pourtalès was the first woman to win gold while competing in the 1-2 ton sailing event. The first woman to win gold in an individual event was British Charlotte Cooper, a megastar tennis player, who won both singles and mixed doubles.